Hosoe’s photography is often collaborated or link with his artist acquaintances, the series Bara-kei (Ordeal by Roses) was created in 1962 with the famous writer Yukio Mishima as a model, and the series Kamaitachi was created with dancer Tatsumi Hijikata as the model in 1969. In addition, Hosoe has been a part of many artist groups and co-operations like Demokrato, VIVO, and Jazz Film Laboratory, which he founded. Hosoe is also the director of the Kiyosato Museum of Photographic Arts established in 1995. Hosoe also contributed as a teacher at Tokyo’s School of Photography (from 1969) and College of Photography (from 1975). 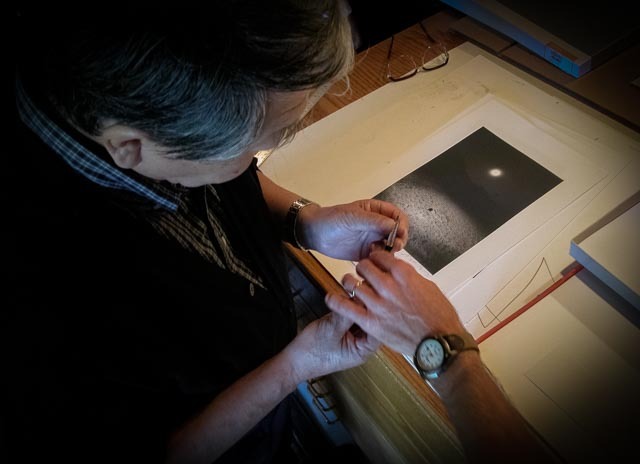 Hosoe has also been the Vice President of the Japanese Photographers Association since 1981. “Kamaitachi” has traditionally been depicted as a weasel specter with sharp kama (sickle) in place of each arm. It also refers to the phenomenon of skin being cut, touched by the vortex-carring small whirlwind, as if struck by the sickle blade of the specter. Hosoe began shooting his “Kamaitachi” series in 1965, which takes the Butoh dancer Tatsumi Hijikata as its subject. Hosoe shot the series initially in Hijikata’s hometown Akita, then later in Shibamata and Sugamo in Tokyo, as if to trace the photographer’s own postwar trajectory. The series was published as a book in 1969. It overlaid the image of the Kamaitachi on Hijikata, who was searching for his origins within his hometown. It was also a way for Hosoe to come to terms with his own experiences of wartime evacuation in Yamagata, which he had nearly forgotten at the time. In an interview, he commented, “Where will the wartime experience of evacuation, postwar ruins and experience of living in Tokyo, and the current economic prosperity and peace all go?” 1 Hosoe explained that through the medium of Hijikata’s body, who shares the blood and culture in the Northeast, “I ‘documented’ my ‘memories’.” 2 The resulting works, spun out of the relation between photographer and subject, have a highly narrative quality. In the village, he played with children, was laughed at by farmers along the roadside, shat in the middle of a field, attacked a bride, kidnapped a baby, and ran through the rural landscape. Almost all the shooting was done guerrilla style in a flash. This was something that could only be achieved through photography. No other medium — film, television, painting, or novel — could have been used in its place. At that moment, I was certain of the superiority of photography. 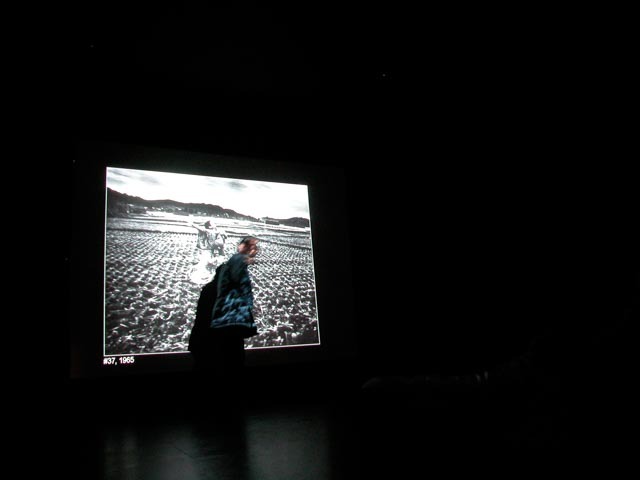 In September 2005, Eikoh Hosoe was a visiting artist for PhotoAlliance. 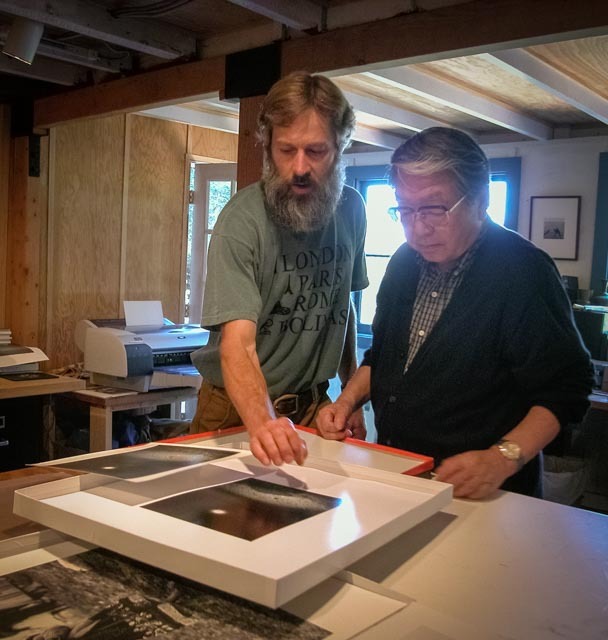 During that time he presented a public lecture on his career in photography and visited the Inverness, California atelier of Steven Brock. 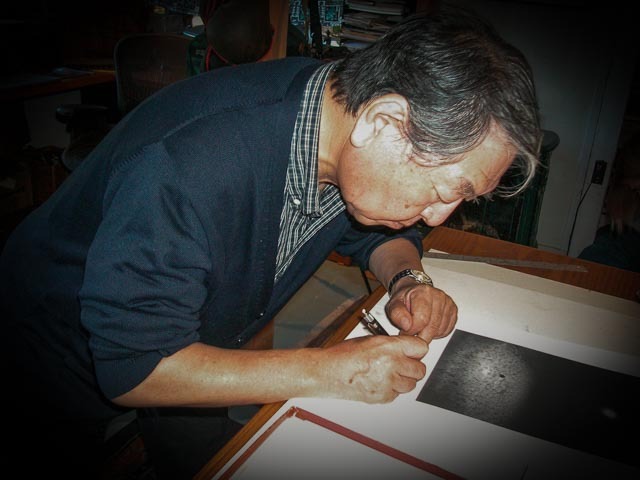 An early adapter to digital fine printing, Steven assisted Eikoh in one of his first editions of digitally produced prints of the acclaimed Kamaitachi #36 image. The result is a limited edition series printed uniquely for PhotoAlliance on archival paper and signed and numbered by the artist.